Oscar Pistorius's lawyer Barry Roux with his tough grilling of witnesses has emerged as the star of the athlete's murder trial, featuring in rap parodies, fake Twitter accounts and Internet memes. The veteran advocate has been mobbed outside the court, begged for his autograph, and had his stock phrase in cross-examination, "I put it to you", adopted into popular culture. "I put it to you, that it is true / everything you say, I will misconstrue," are the lyrics of a rap parody of Roux created by a South African radio station. "I'm Barry Roux and I put it to you / ten times in a row just to confuse you." Another parody song, Because I'm Barry, has been set to the hit track Happy by US artist Pharrell Williams. 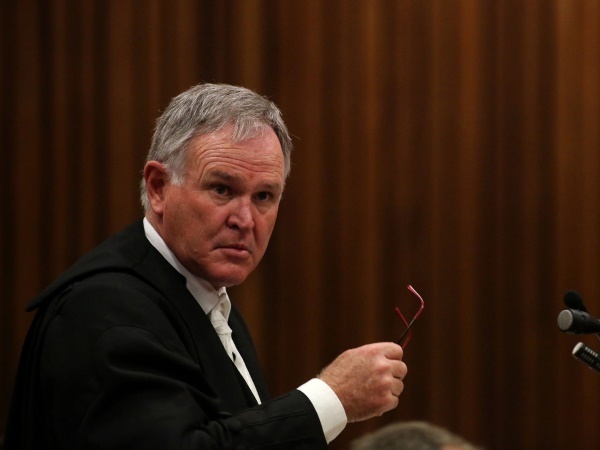 Roux's dogged questioning has also inspired numerous Internet memes with pictures of the lawyer, who is defending Pistorius on charges of shooting to death his girlfriend Reeva Steenkamp last year. "What if I put it to you that my dog barks like a cat when it's nervous?" 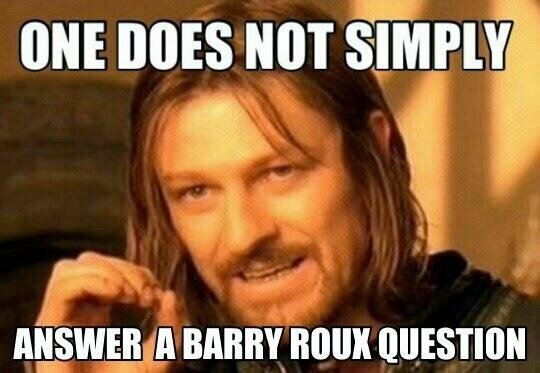 one meme asks, referring to Roux's argument that screams heard the night of the killing were from a high-pitched, distressed Pistorius and not Steenkamp. "I put it to you that Oscar kicked the door so high because he has had chorus line training," reads another meme with a picture of Roux emphasising a point. Then there's "Chuck Norris? Never heard of her!" -- a reference to the famous American actor and action film hero. "I am not in court today. Producers of the #OscarTrial channel have already threatened suicide. No chill I tell you," one of the parody Twitter accounts tweeted about a 24-hour television channel dedicated to the trial. Fans have chased Roux down the street when he left the courthouse, and last week a woman in the courtroom asked for his autograph. After he initially refusing, the stern lawyer relented sheepishly, and the admirer left triumphantly with a note bearing his signature.